We are excited to announce our collaboration with the rapidmix H2020 project in the context of our Adaptation competition and beyond. rapidmix is providing an open source, cross-platform framework that allows the use of advanced machine learning algorithms in a simplified way for transforming masses of sensor data into expressive sound and gestures that can be used for gaming, music and arts. 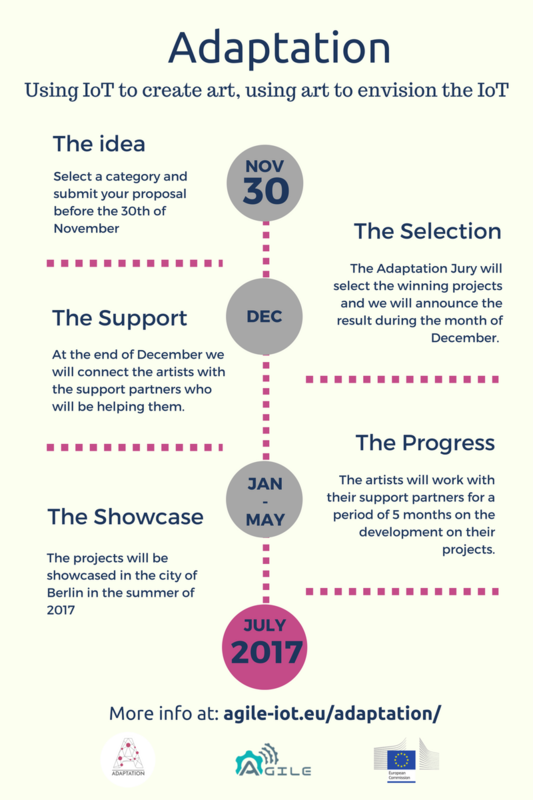 We will be integrating the rapidmix software as a Docker container inside AGILE providing all aforementioned features to AGILE users and especially to the artists participating in the Adaptation contest. AGILE will also provide support for connecting IoT devices with sensing capabilities to the rapidmix toolkit. Rapidmix and AGILE users will be able to benefit from both technologies by collecting data from wireless sensors and generating multiple actuations developing this way complex interactions with objects in an easy way. Learn more about rapidmix project and the software features here. Stay tuned and follow us on Twitter (@agile_iot) for more updates on our collaboration. Back in July 2016 we announced the opening of the Adaptation contest & event. Time is running fast and the applications period closes at the end of November. If you still haven’t heard about it you are still on time to jump on board. Find the basic information in our previous post. Do you have any questions you’d like to ask? We are inviting everyone to join us to the next Q&A Session via Hangout on November 11 at 6pm CET, where the AGILE project coordinator and the Adaptation organization team will be there to answer. Don’t be shy and join us! you never know what you will learn or who you will meet during the call. The AGILE project and its partner CREATE-NET are collaborating with the AA School of Architecture. They will be using Internet of Things (IoT) technologies that will enable interaction design students and architects to develop complex artwork that visualises the interactivity between context, virtual, and visual spaces and Internet data. 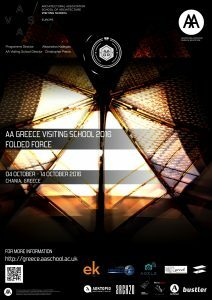 In the context of the AA Visiting School in Greece, participants will have the opportunity to develop their basic skills on controlling models parametrically and on producing interactive presentations. These sessions also embody manufacturing techniques enabling a hands‐on experience on the realization of an architectural design. 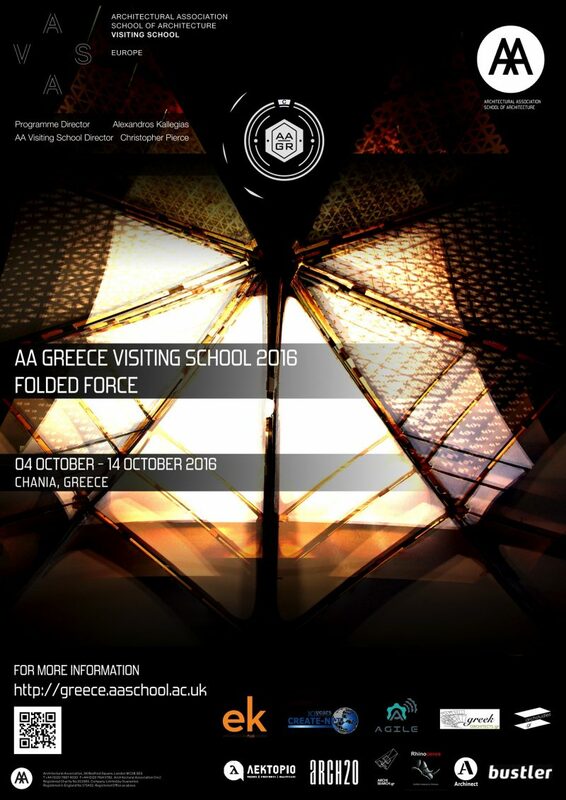 In addition, a set of lectures and special events are carried out to enable the participants advance their understanding in matters of new design anatomies and begin developing a theoretical background on topics including mechanic control, computational space, and complexity in systems, and innovative urban design approaches. CREATE-NET has developed an interactivity model that will be used between visitors in order to generate visual effects and artwork actuations, based software from the AGILE IoT gateway.